Following the acquisition of a large number of the parks and public facilities on the Cleveland Lakefront, Cleveland Metroparks began work on an ambitious masterplan that would connect and unify these city assets through a vision for sustainable, place-based design. Ari Miller lead the design team to accomplish this extensive planning and design project during his time at OLIN. By stepping back to understand the Lakefront sites in the global, regional and local context, the team was able to best identify strategies that addressed the pressures elevated the assets on each of the sites individually and as a whole. 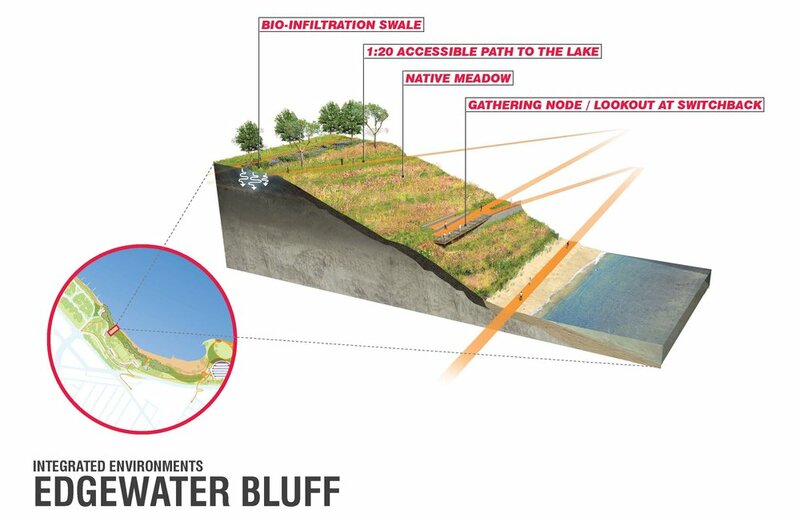 The masterplan unified the sites through the restoration of the unique Lakefront ecology but highlighted the individual histories, uses, and cultural characteristics of each site to reinforce the places as central to the identity of Cleveland. The full document can be found on the Cleveland Metroparks website here.